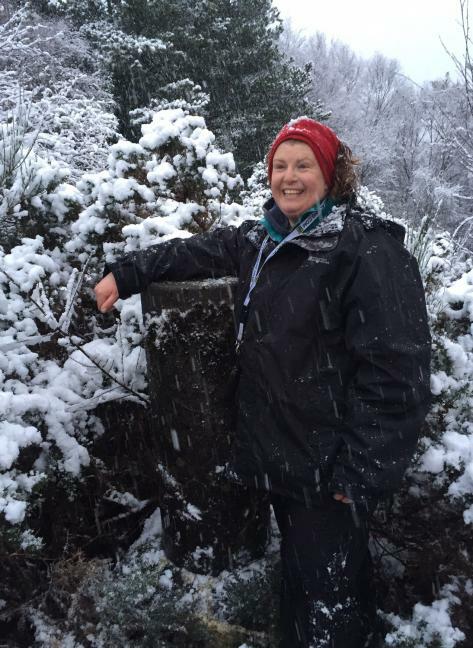 Not many places where you can visit a couple of trigs and a lighthouse (pepper pot one at the junction of canal and Loch Ness) and have a leisurely breakfast followed by a couple more trigs before needing to move on. Blimey, I found it! 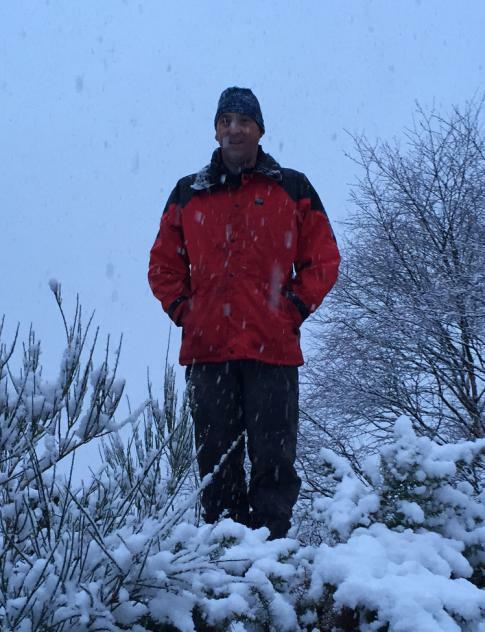 Many thanks to earlier loggers. Why are we here Dad? Followed Vegibagger's route and much appreciated the pruning that he had done. No views. With Nozzer. 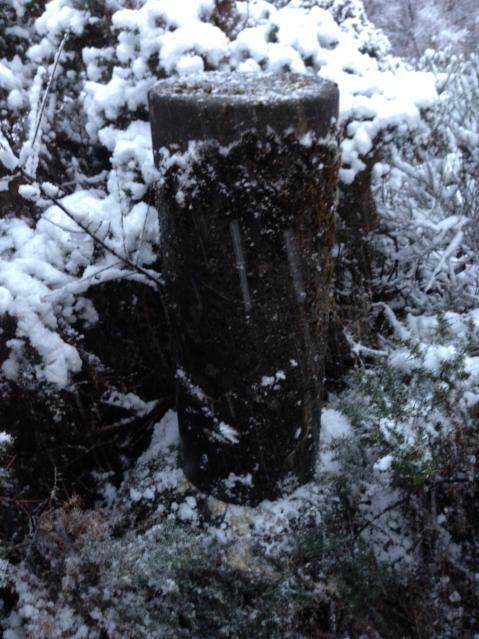 Previous logs made access easier - up side of old school then follow the GPS into the gorse. Access is via footpath to the left of old school house up the lane then up through woods and on high point rocky outcrop surrounded by gorse. Much secateur trimming by me fot 20-25 mins has given easier access from north plus even making it visible from below to the west. 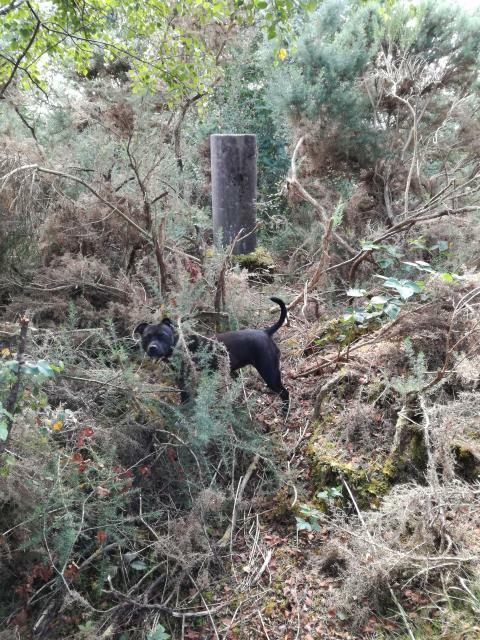 After some initial confusion about the best route into this one we spotted the alleyway round the back of the old converted school building and we were soon puffing up the steep gorse covered hill to the trig. 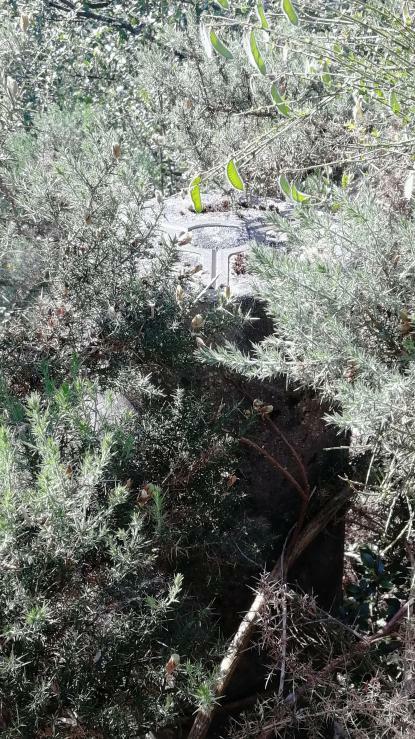 Managed to spot it tucked away in the gorse after a brief search, didn't even need my GPS but it did help that I had researched this one a bit before leaving the house so knew what I was looking for. Not easy to access. The easy bit was.getting the OK to go over the fence at the back of the house of one of the residents. Thereafter I could see no hint of a path. 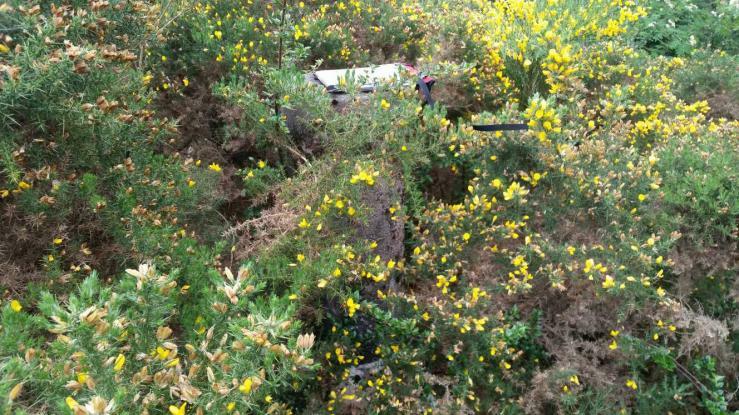 It took some time to find the trig, which was hiding deep in a gorse bush. My grid ref was 10m out. 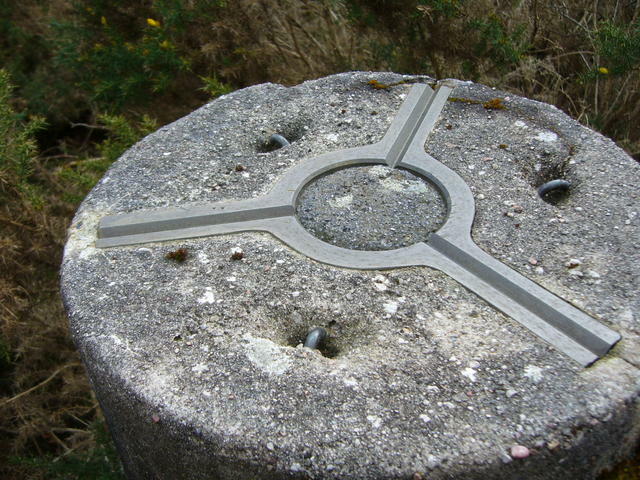 The other trigs I visited today within 3m. The trig is on pretty much the top, although actually deciding the highest point is not easy. from the houses behind the old school, took some finding. Didn't realise there was a car park close by as I parked at the main tourist car park and walked up. 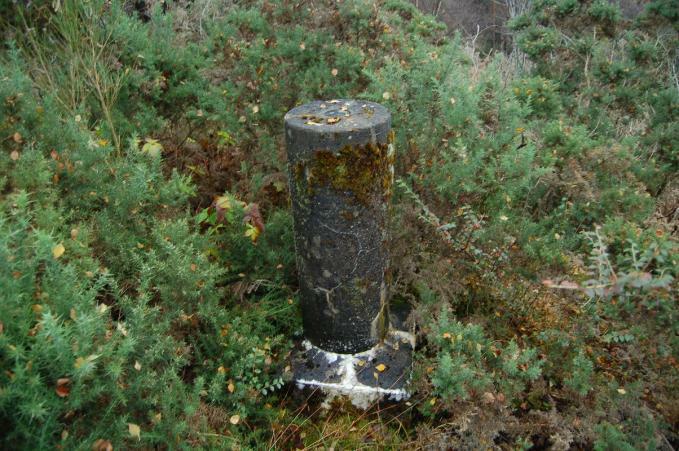 Followed fence close to wee boggy bit, across fence and up through gorse and eventually found the trig. No flushbracket and not the greatest view. Took a while to find a way into this one, got there in the end, very hard to spot in the gorse, very snowy today too! Parked at the carpark nearby and then followed fence heading north to hillock and then through some rough dead gorse to Trig. 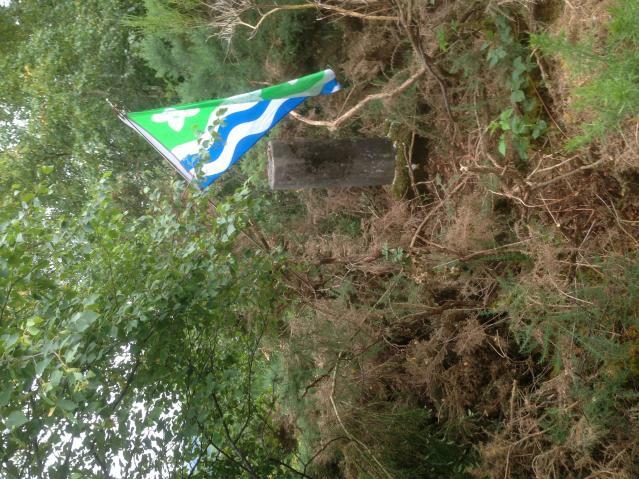 Defo a few cracks on the pillar but apart from that still standing. 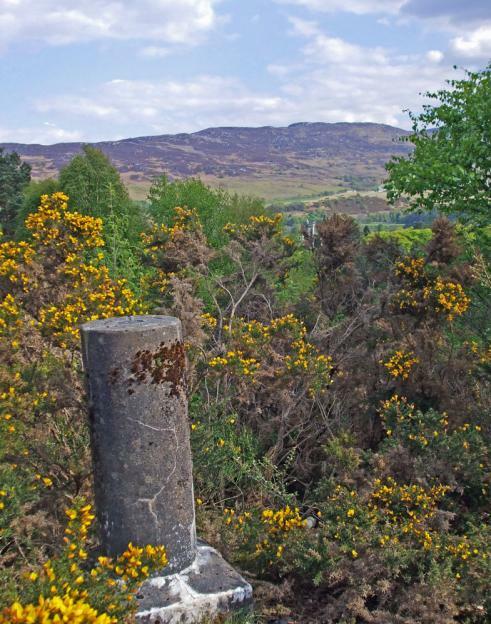 Trig, plinth and Monastery. Monastery? Sorry I mean holiday lets....ffs. No FB, Cylindrical. Followed path up from former school. There is a sign up indicating path past school but I didnt see it on the ground. As Rob did I came down via the B&B - definitely the easiest and if going again would ask to go up the back of their garden and head left. Has a number of small cracks. NH 37950960 estimated from 1:25k map. Brander i.e. 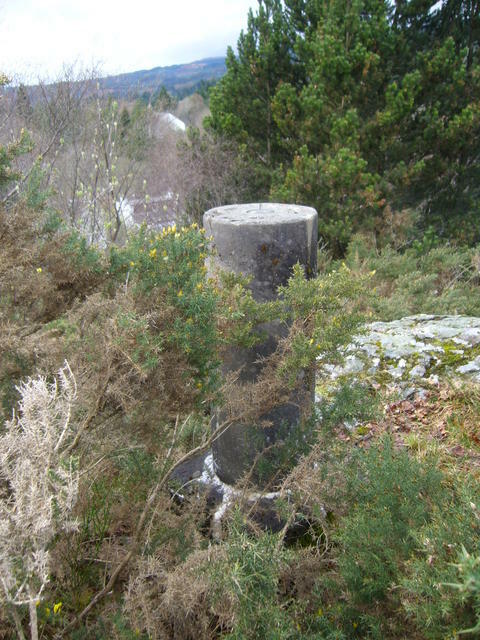 cylindrical pillar on small square base, built without FB. Asphalt-type plug. 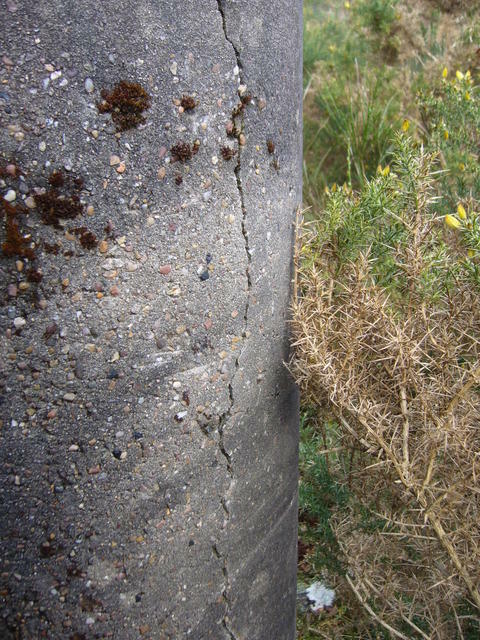 Pillar has a network of shallow cracks. At summit of Battery Rock - once housed a gun battery but now neglected and gorse-covered. Path from SW beside what appears to be old school boarded up, then slope of dense gorse. I descended SSE to avoid gorse, via garden of a B&B! Supposedly <a short easy climb> from old school house. 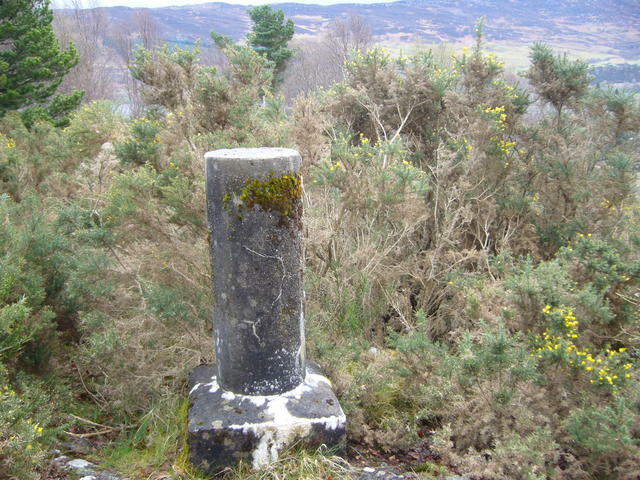 Described by OS (info via Rod Sladen) as a Brander (= cylinder), on top of Battery Rock, Access via Old School House, NH378094. This grid ref leads to a newly constructed extension to a car park, bounded on its N side by a gorsy ridge. 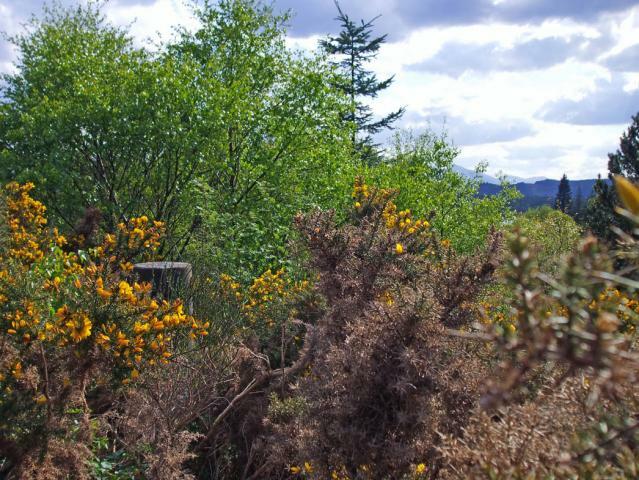 There are a few gorse-covered outcrops immediately to the west, around a picnic site. One rock in particular is tall and quite striking - I couldn't see a trig on top but may have missed it. 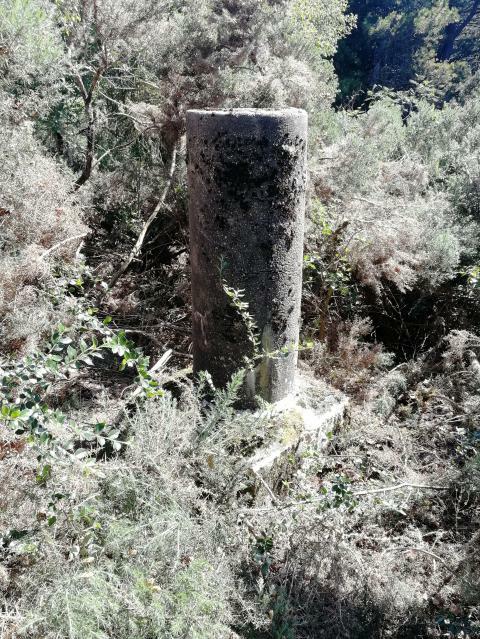 The pillar could well be around here, lurking in the gorse - or destroyed when the car park was built / extended. Or the grid ref could be a bit out .... 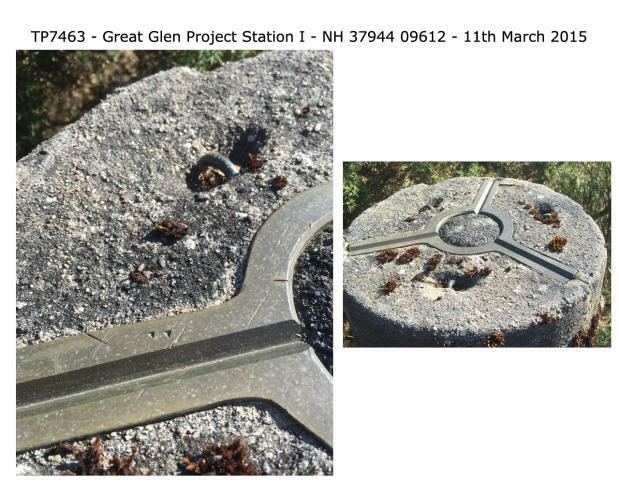 There are also supposed to be four more Great Glen Project Stations but there are no location details as of Nov 2007, and they could be in a different area of the Glen from Stations E to Q. Station B is FB 11283 and Station D is FB 11865. 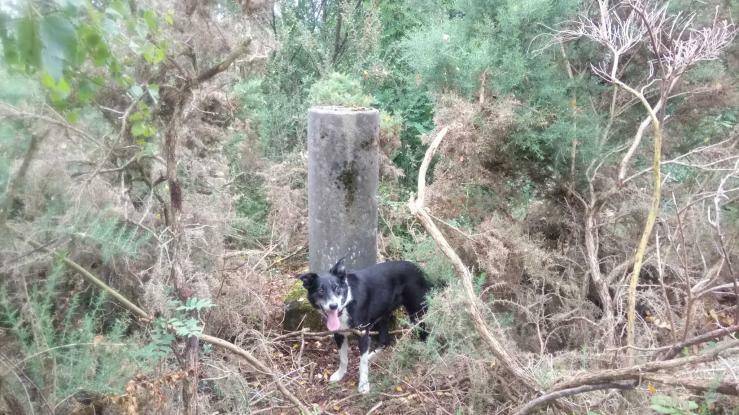 Station A and Station C could be pillars without FBs, or pre-existing trig pillars.